Peter and Paul Snowden are primed to pull off another major upset in the BTC Cup on Saturday, with ­Dothraki and Charlie Boy ready to rock and roll for the first Group 1 of the Brisbane winter carnival. The Snowdens produced Hot Snitzel to win the BTC Cup (1200m) last year at $26 and believe either Charlie Boy ($19) or Dothraki ($26) can cause another boilover for the stable this year. “To you tell you the truth both of them are going very well,” co-trainer Paul Snowden said. 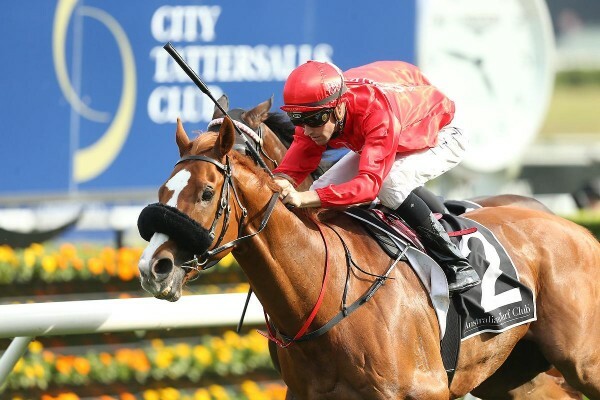 Charlie Boy backed up his narrow first-up win in the Group 3 Liverpool City Cup (1300m) with an eye-catching sixth in the Group 3 Hall Mark Stakes (1200m) at Randwick on April 16. The five-year-old produced the quickest last 200m (11.40s) and second-quickest last 600m (33.88s) in the Hall Mark in a race that wasn’t run to suit his style. Paul admits it was tempting to run Charlie Boy in the Victory Stakes late last month when the race was light on nominations, but he hopes the decision to bypass that race will pay off this weekend. “Charlie has been set for a Brisbane campaign and we’ve worked out the best result with Charlie is to keep him mad fresh, which was very similar to a horse at Darley in Epaulette,” Paul said. “With that frequent two-week intervals in racing once he gets into his third or fourth run he is going through the motions a bit, but if you change things around and keep him on the ball the horse thrives off that. Dothraki tuned up for the BTC Cup with a 2½-length trial win (796m) at Warwick Farm on April 29 and did beat home BTC Cup favourite Fell Swoop in The Galaxy in Sydney in March. However, Fell Swoop was caught wide that day and did beat home Dothraki either side of The Galaxy in the Oakleigh Plate and TJ Smith Stakes. The Snowdens will also be represented at Doomben this Saturday by Attention in the Group 2 Champagne Classic (1200m) and Princefamous in a restricted race. “(Attention) trialled last Friday week and he is probably going to be better suited at 1400m and maybe a mile but he makes his own luck on speed and I don’t think we’ve seen the best of him yet,” Paul said.